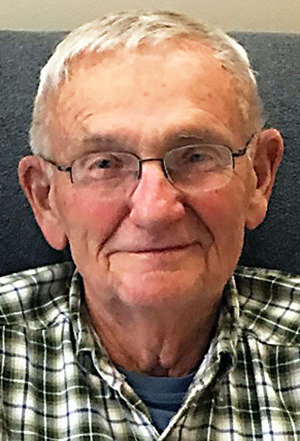 ROANN – George William Zinsmeister, 83, of Roann, died at 1 p.m. Friday, April 12, 2019, at Wellbrooke of Wabash. He was born July 20, 1935, in Wabash County, to Donald Franklin and Marietta Fitch Zinsmeister. He married Marilyn A. Slee in Roann on Feb. 16, 1957; she died Feb. 19, 2017. His survivors include two children, Deb (Dale) Tillman of Claypool and David Zinsmeister of North Manchester. Funeral services will be at 10 a.m. Wednesday at Grandstaff-Hentgen Roann Chapel, 335 S. Chippewa Road, Roann, with the Rev. Kurt Snyder officiating. Burial will be in Roann Community Cemetery. Friends may call from 2 to 8 p.m. Tuesday at the funeral home. The memorial guest book for George may be signed at www.grandstaff-hentgen.com.